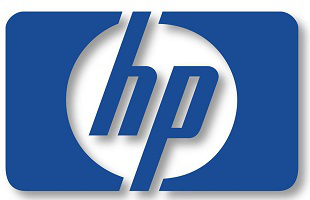 Hp used to be a respected brand. Then the quality of their laptops dropped dramatically and prices remained high. Not to mention they were pioneers of modern printer highway robbery in the form of proprietary ink cartridges that dont empty all the way. Two of my mates were made redundant from HP's Total Care Centre in London a month ago. Sad times. Hmm I wonder how splitting in half will help them unless the idea is for one half (probably consumer) to be laden with the debts and left to die while the other restructures itself for a new focus. As someone working at HP thanks for the heads up. And here i thought they are going to split into Hewlett and Packard. you know, the sensible way. Seriuosly though, why do people still buy HP stuff. its overpriced and poor quality. if you want good quality overpriced stuff you go to dell, if you want reasonably priced stuff you go to Lenovo or lesser brands. I myself am never going to buy an HP product after some encounters with thier support though. Hmm I wonder how splitting in half will help them unless the idea is for one half (probably consumer) to be laden with the debts and left to die while the other restructures itself for a new focus. yep, thats usually how these things work. Yeah there needs to be far more improvement on the support end, some of their hardware is good but is ruined by bad support. Hardware is easy to get, customer support though is what sells (and why Apple is so successful).